Want More Boxes For Your 3DS collection? Because that's exactly the only thing you will get from these babies. 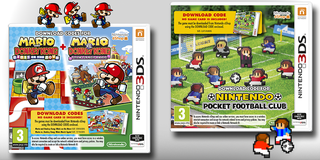 These two will show up at retail in Europe, but inside there won't be a cartridge with them, just the donwload codes. We live in crazy times!